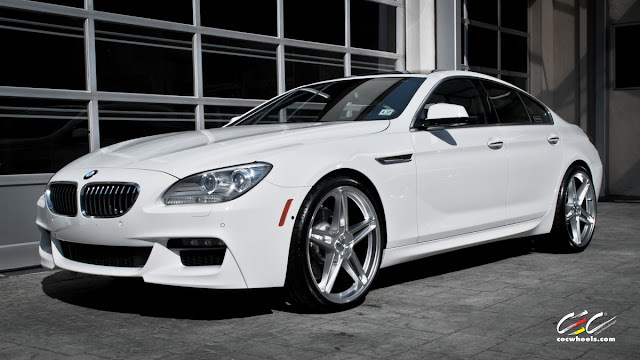 The 640i Gran Coupe is the third model in the BMW 6 Series line-up, and is the first four-door Coupe in the history of the brand. This week we were privileged enough to have our friends at BMW North America lend us a 2013 Gran Coupe 640i for the day. The 6 Gran Coupe is a true mix between the 5, the 6, and the 7 Series cars. 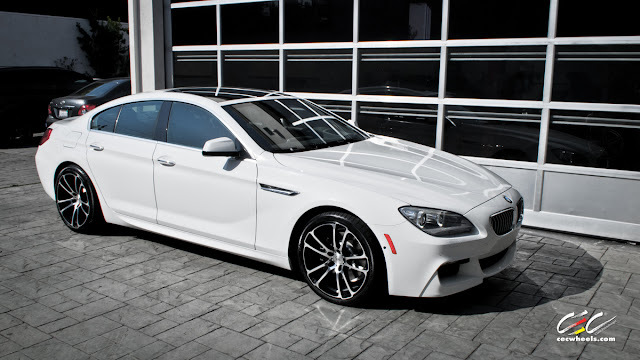 The rear-wheel drive 640i Gran Coupe is powered by a 315-hp 3.0-liter turbocharged inline 6-cylinder engine with direct fuel injection, and mated to an eight-speed sport automatic transmission with manual mode. Adding to the already stunning looks of the Gran Coupe our 22" staggered CEC c881, an open 5 spoke sophisticated design with race inspired lines, gives the wheels an aggressive look. The CEC c881 on the Gran Coupe gives the wheels a wide looking stance as well. The c881 is also available in a 20" version so you can keep those original tires. With the factory tires 245/35 and 275/30 we mounted our 20" staggered CEC c882 which give the 6 a sleek and curvy look while keeping the stock tires for an undoubted fit under the wheel wells. Featuring a modern deep concave look and swooping lines, the c882 truly is a compliment to an already stunning vehicle. 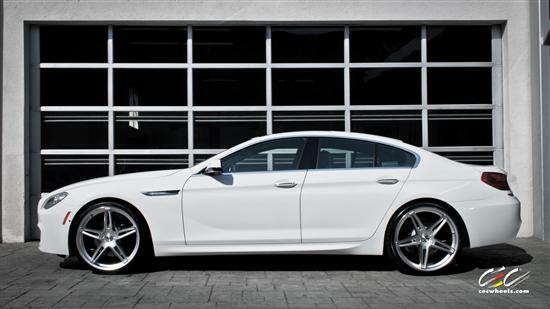 Personally, I'm not a fan of the 640i Gran Coupe because BMW's lineup is all four door vehicles except for 2 or 3 models. 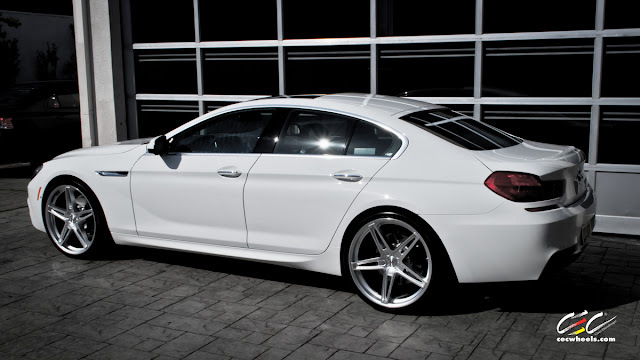 The 650i is a popular vehicle, and it stood strong as a 2 door coupe. But to come out with a Gran Coupe (code words for 4 door cramped vehicle), surrounded by the 530 and 750 doesn't make sense to me.